BOO! 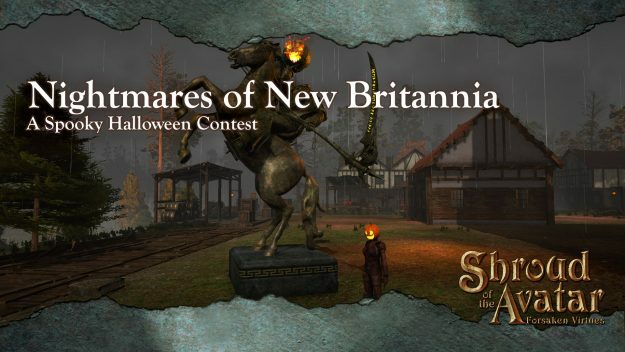 Spooky content abounds in New Britannia this Halloween season, some of old, some of new! Here’s your chance to show it off to the rest of the community in your own unique style! We’re announcing today a two-part challenge of decorating a home or property in a spooky theme, or wearing a themed costume. You can submit an entry for both segments, though you are only eligible to win in one of them. As we get entries, we will announce on social media the latest entries in a Facebook gallery. You will also be able to view the entries as they are posted in the forums. Submit your entries in a single post reply to this forum thread. Deadline to submit is Tuesday, October 24 31 at 12pm (Noon) CT, so get those spooky ideas started now! For properties: 4-8 screenshots of the scene, at least 2 with UI and 2 without, as well as at least 1 of the outside and 2 of the inside. For costumes: 2-3 screenshots, at least 1 with UI and 1 without. Use of surrounding scene will also be considered, though costume itself will be the priority consideration. For properties: Include the scene and /loc coordinates so visitors can check out your property! Any further background on why you went with the decorations you chose, or ghoulish history behind the costume or property submitted. If submitting both a property and costume, please separate (in the same post) entries for both. While each should be obvious to identify, please designate their category (Property/Costume). Resolution: Minimum of 1920×1080, and always in 16:9 aspect ratio (you can trim if necessary). Quality: Use in-game settings to their maximum, no post-screenshot alterations allowed (except to enhance brightness and contrast in overly dark scenes). Set the stage! Other players and staged items in the shot are great resources. Use them! Stand your ground! Must be of your own house (or permission to use it) as the scene focus. Protip! 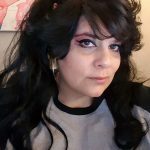 Be mindful of the game time for the best lighting angles you want on the home or costume, if any. Remember! Turn UI off with the F9 key, no post-alterations to the screenshot with the exceptions above. All Other Submissions: Everyone else that has an eligible submission will have theirs included as a congratulatory entry. Winners will be announced during the Release 47 Community Livestream on Friday, November 3 at 4pm CT. Keep watch on the Shroud of the Avatar main website and on social for updates. Have a great time spooking your fellow Avatars! Discuss the contest in the forums here. Since this is a skill based contest, a committee of judges will be formed at Portalarium, and any tie breakers will be resolved by the committee. Any concerns and disputes on who won must be sent to Berek in the community forums. Do not post in the submission thread or other public areas any disputes or challenges about the winners. We will only accept one submission per individual or group. Anyone assisting in a group should assume that they will not be receiving a prize, though speak to the contest entrant on how they can reward you for your time. No reuse of submission materials or locations please! NO PURCHASE NECESSARY. MUST BE AGE 13 OR OLDER. ONE ENTRY PER PERSON OR HOUSEHOLD. MUST USE ONLINE GAME ACCOUNT ONLY. THIS IS A SKILL-BASED CONTEST. VOID WHERE PROHIBITED BY LAW. VIDEO FOOTAGE CAN BE FROM ANY SOURCE AVAILABLE TO YOU, INCLUDING YOUR OWN GAME ACCOUNT AND THIRD PARTY SOURCES. ASK FOR PERMISSION WHERE APPROPRIATE. AFFIDAVIT OF ELIGIBILITY / RELEASE OF LIABILITY / PRIZE ACCEPTANCE AGREEMENT MAY BE REQUIRED. 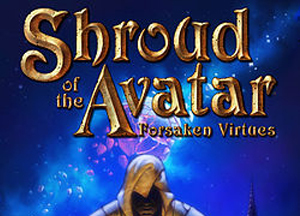 ALL SUBMITTED VIDEOS ARE ABLE TO BE USED AND COPIED BY PORTALARIUM FOR PROMOTING SHROUD OF THE AVATAR AS PORTALARIUM AND ITS PARTNERS SEES FIT.